On Thursday, President Barack Obama offered remarks at Northwestern University on the economy and at the Congressional Hispanic Caucus Institute Gala on immigration reform. While the topic of each speech differed, he was able to weave in one common thread. His Twitter handle managed by Organization for Action later reiterated that statement. 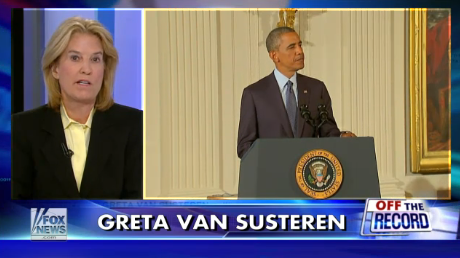 President Obama: While affordable health care might still be a threat to freedom on Fox News, it’s working pretty well in the real world. 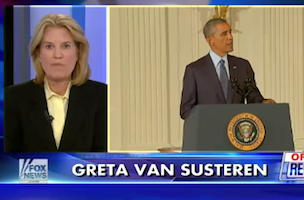 President Obama’s Thursday references to FOX News and Hannity made its way to Greta Van Susteren’s “Off the Record” segment.